HOW ARSENAL CAN TAKE REVENGE FROM LIVERPOOL TOMORROW? Arsenal will play Liverpool at Anfield in a Premier League game tomorrow. Controlling Sterling means controlling Liverpool attack. Sterling scored a brace in the midweek. Arsenal will play Liverpool at Anfield in a Premier League game tomorrow. Arsenal boss Arsene Wenger is hoping to take a revenge from their last season defeat at Anfield. Liverpool beat 5 – 1 last season in February. Thanks to the braces of Raheem Sterling and Martin Skrtle and a goal from Daniel Sturridge. However, all the three scorers are present at Liverpool but Daniel Sturridge is out with an injury and the Word Class forward Luis Suarez who contributed alot is no longer a part of Liverpool which clearly means a difficult game for the Reds once again this season. Arsenal boss can surely take the revenge away from home if they control the only threat of Liverpool which is Raheem Sterling. Controlling Sterling means controlling Liverpool attack. Liverpool youngster scored two goals in a 3 – 1 over Bournemouth in a Capital One Cup game in the midweek. Liverpool have been failing in front of goals this season. With Mario Balotelli suspended for his social media racist comments and Rickie Lambert not at his best, Arsenal can surely make the most of it. Sterling is the only player who attacks from every side of the field. He can take the ball alone, can shoot or can make a key pass. He is the only player with so much pace for Liverpool right now. Liverpool attacker Philippe Coutinho has not been impressive this season while Adam Lallana is struggling with first team opportunities. 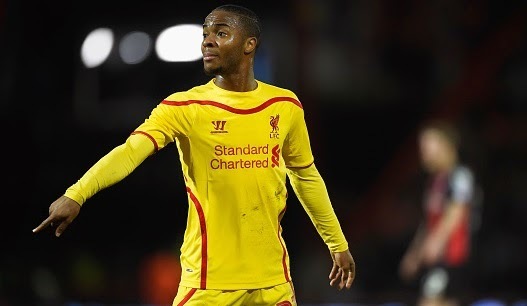 Sterling who turned 20 earlier this month is Brendan Rodgers’ vital team member. On the other hand, defence is also the problem for the home side, Liverpool have conceded 22 goals this season, only Tottenham and Everton have conceded more in the top half of the table. A goal from Arsenal means a pressure for Liverpool and difficult chance of overcoming it. If Arsenal scored the goal first then it would be difficult for Liverpool to equalize. Alexis Sanchez, Olivier Giroud and Danny Welbeck just need to break the deadlock while the Gunner's defensive line should keep an eye on Sterling. What other things can Arsenal do?